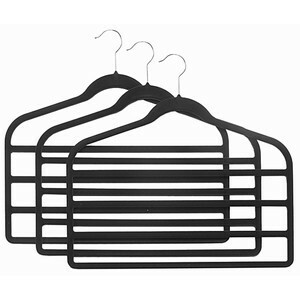 With four soft coated bars for pants, these slim-line hangers are a space-saving dream! 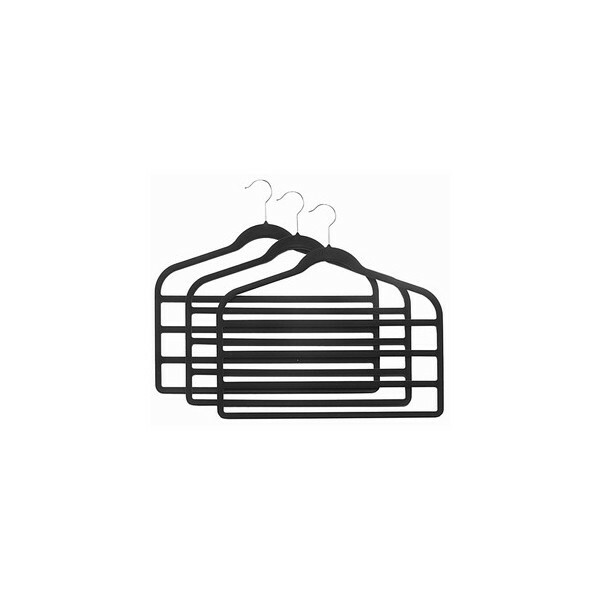 Great for fitting extra traveling clothes into a garment bag, these durable hangers hold up under constant use. The coating grips pants to prevent slipping and wrinkling.